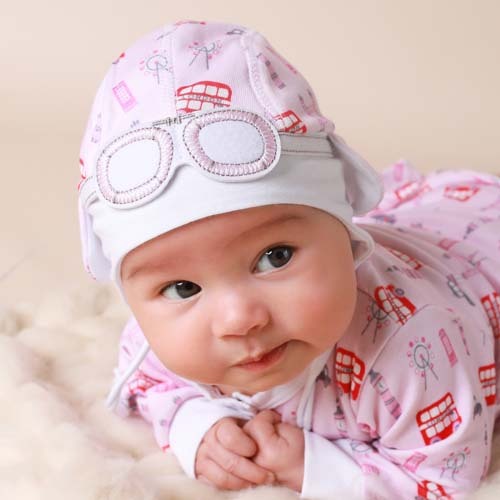 New this autumn is our adorable Baby Gift Set of Newborn Hat and Sleepsuit with an all-over London bus print in pastel pink & red. Made from the softest cotton that is gentle on new baby’s delicate skin. 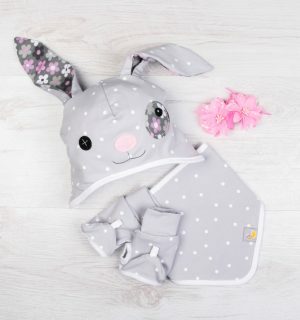 The unique design and supreme quality of this matching hat and sleepsuit make it the perfect gift for your new baby or to give to someone else as a gift for their new arrival. It comes in one size 0 – 6 months and it is packaged in a complimentary, beautiful gift box with a branded logo on top. 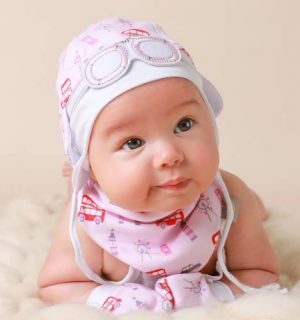 The newborn hat is beautifully made with little driver-like goggles attached on top, it looks so cute on little girls. The baby girl hat also comes with ties to fasten under the chin for maximum comfort and to help shield your new baby’s ears from a cool breeze. The sleepsuit comes with poppers to the front for easy changing. 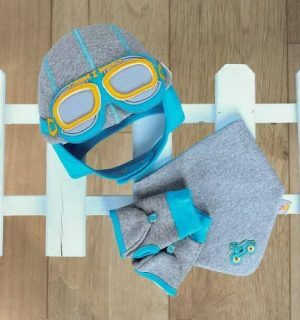 The newborn hat is beautifully made with little driver-like goggles attached on top, it looks so cute on little girls. The baby girl hat also comes with ties to fasten under the chin for maximum comfort and to help shield your new baby’s ears from a cool breeze. The sleepsuit comes with poppers to the front for easy changing. The 100% interlock cotton gives that extra stretch and comfort as your baby starts to move and grow as well. The adorable London red bus print comes in three colour variations to choose from – blue/red, pink/red and grey/red.